Biopath Lab & Diagnostic Centre conducts all kind of medical tests. 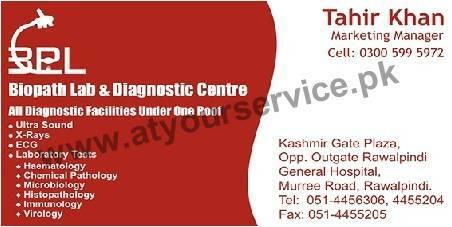 Biopath Lab & Diagnostic Centre is located on Murree Road, Rawalpindi. It conducts all kind of medical tests.